One of a kind in Lambertville! Two for the price of one. This property checks off all of the boxes. A modern 2 bedroom home with a separate studio building. Off street parking and a charming private garden and terrace. The artist inspired main house has 2 bedrooms and 1 full bath with vaulted ceiling, open floor plan and a beautiful fireplace. The second loft style building has a half bath, kitchenette and is an ideal studio or work out space. On site parking for 2-4 cars. The outdoor space features garden and pathways. 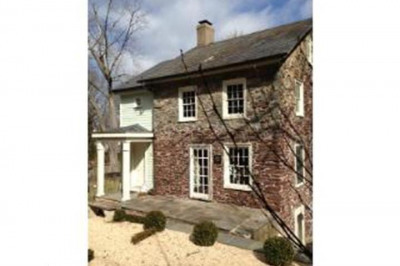 A special opportunity in historic Lambertville. 20 minutes to Princeton, 70 minutes to NYC and 60 minutes to Philadelphia.